If you already have a Velux Pan-Flashed Skylight but you're in need of a manually operated blind, this is the what you are looking for. 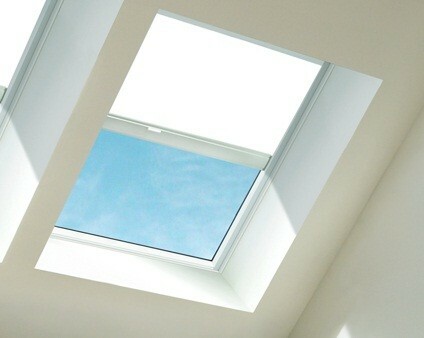 These blinds will fit Velux pan-flashed (QPF) skylights manufactured in 2010 or later. There are three types of blinds available, blackout, light diffusing or venetian blinds. All types are available in different colors. Special order colors are available in a larger variety of color and take about 2 weeks to deliver. If you choose a VELUX venetian blind, you will enjoy style and comfort. Energy efficiency - The venetian blind increases energy efficiency up to 12%, reducing your heating and cooling costs due to the better natural climate control in your room. Operated manually for with a rod or by hand for in reach applications. BLINDS ARE NOT RETURNABLE OR REFUNDABLE.